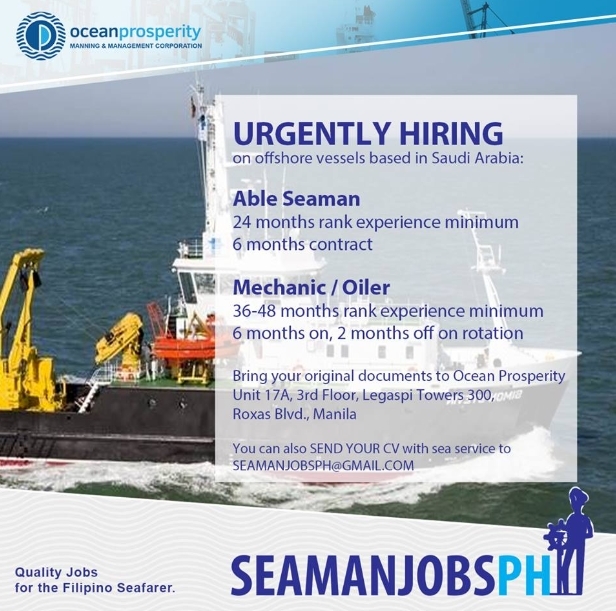 SEAMAN JOBS INFO - Ocean Prosperity Maritime Corporation hiring crew for Filipino seafarer rank Oiler, Able seaman joining on offshore vessels. 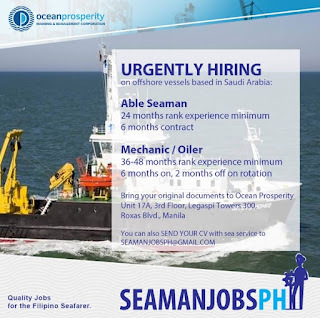 Unit 17A, 3rd Floor Legaspi Towers 300, Roxas Blvd Manila. 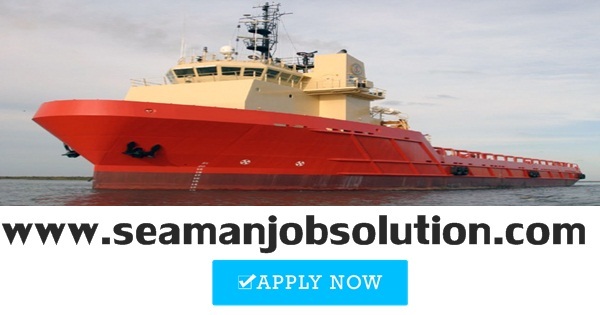 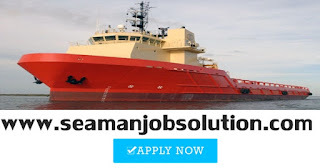 0 Response to "Urgent Vacancy For Oiler, Able Seaman Join On Offshore Vessels"